What does our future hold when augmented and mixed reality finally enter the mainstream? As developers, we are always looking for the ultimate solutions to the problems our users see. 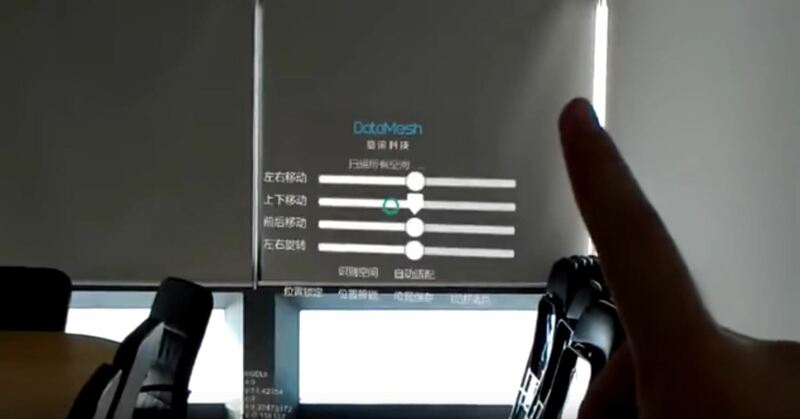 Welcome the innovative minds of DataMesh Consulting and their impressive HoloLens interior design solution called HoloDesign (previously "Decoration"). Their demo video begins in what appears to be a conference room. A dozen folding chairs sit against a wall, a large conference table fills the center of the room, and a large whiteboard nearly covers a wall. A few seconds in, after a few quick air taps, the HoloLens' Spatial Mapping mesh appears. What happens when the mapping is complete is almost magical. Inset lighting illuminates the now blank walls and empty hardwood floors replace the large table. 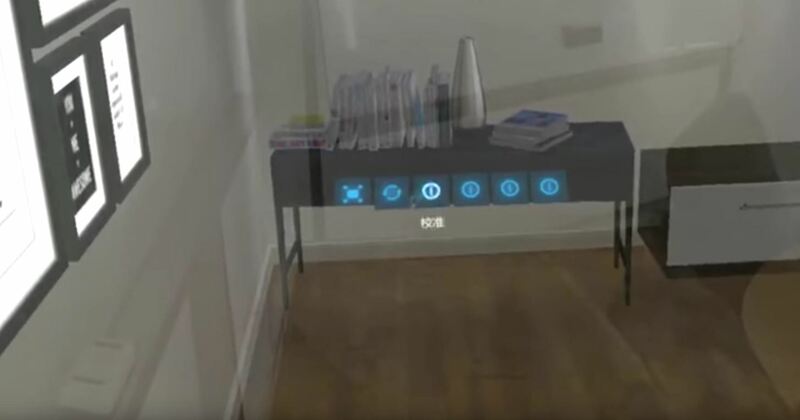 Over the next six minutes, the HoloLens user proceeds to place decorations covering the walls and adds furniture throughout the room, completing what is a very convincing illusion. This is an impressive feat for sure. 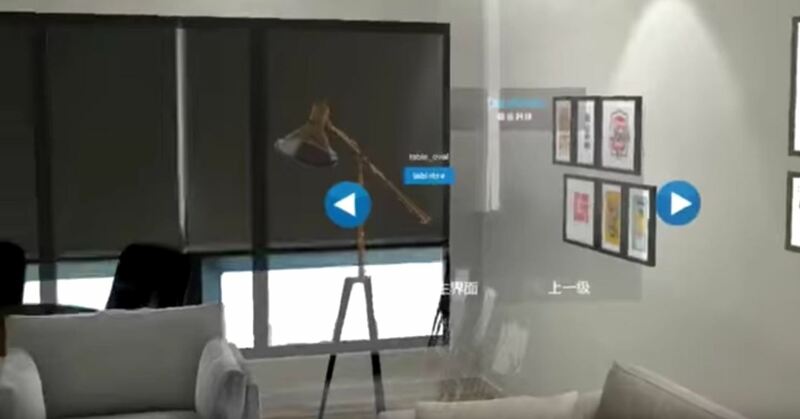 This is similar to another HoloLens app called HoloPlanner, which lets the user select from a small catalog of furniture that they can place and move around the room. For this app to work well, however, the room needs to be relatively empty. Update: There is yet another demo video available to watch, if you'd like. Now it should be noted that this is very much a virtual reality experience on the HoloLens. Unlike an Oculus Rift or HTC Vive, you can still see the actual room through the thinly transparent virtual room. This is an important distinction due to the untethered nature of the HoloLens; A user could easily be hurt walking around a similar space in a true VR experience, and with this setup, the chances are far less likely. The developer in me did notice an input box labeled HoloServer. This leaves me to believe that either this can be a shared experience, or that there is a server backend for storage and processing Holographic Remoting-style. Potentially both. I look forward to seeing this project progress and will be keeping my eye on it. These are the types of ideas that will help augmented and mixed reality become, as I often say, 'more necessity than novelty.' But ideas are not enough on their own—it's the well-thought-out implementation that pushes this technology to the next level. I can't wait to see what's next.